Rubbish collections are a day later than normal this week. So a normal Thursday pickup will be done on Friday. Thanks and Happy New Year everyone!! Bandwidth usage – where is it going? Increasing number of devices in your home. Devices performing automatic updates, computers, laptops, tablets, iPads, phone etc. Increased use of video feeds. Addition of Chrome-cast devices / smart TVs. Leaving video playlists playing by accident (YouTube and similar). 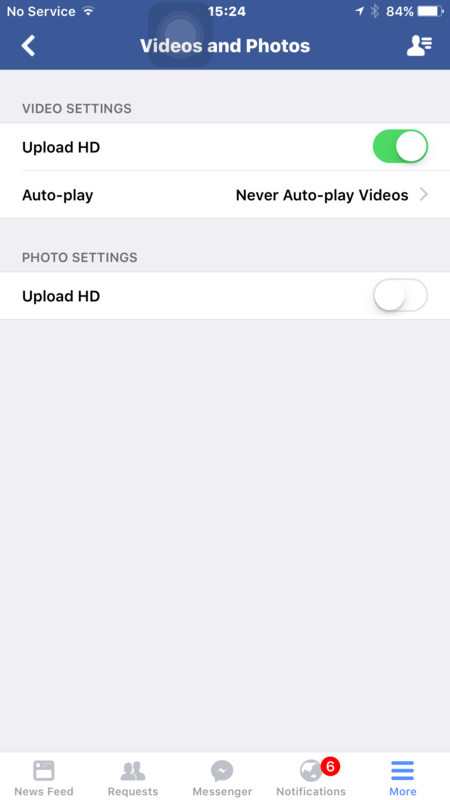 Default settings in Facebook – auto starting video playback when viewing your news feed. Kids in your house, on your wifi without any limits being applied. Malware / Spyware / Viruses. As with all things technical, there are detailed, technical solutions which can be used; we’re not going to focus on those types of approaches, instead we’re going to keep this simple with some very high level suggestions. – If you’ve worked through all of these first and still seem to have bandwidth leeching issues, it would be worth your while performing your own research online and implementing some bandwidth usage inspection tools. – If this sounds beyond you, then you might need to ask for (and pay for) some professional technical assistance. These issues are all related to your own environment, and that is your own responsibility to manage appropriately. It’s not the responsibility of an internet service provider to manage your side of the network. Devices performing automatic updates, computers, laptops, tablets, iPads, phones, XBox etc. Each of the above devices would commonly download and apply their own sets of updates, to keep their security patches and versions of software up-to-date, functional and safe to use. Some of these can be quite large, and they often happen without you noticing or having to do anything. As an example, recently Apple released their update to iOS to version 9.3 on 21st March. This update was not bug free, it caused a number of problems for some users, so on the 31st March, they released version 9.3.1. If you’re like us, we have two users in our household (no kids), and both of us have an iPhone and an iPad. This caused 4 iOS updates to happen within the same calendar month, without us initiating anything. If you’re unaware of what your devices are pulling down, then you’re unlikely to appreciate how much of your data is used, simply by just keeping them up to date. We do not recommend that you disable these updates, they are often very important in order for your devices to remain secure. – Instead we’re recommending simply that you’re aware of how many devices might be using your connection for this kind of self-maintenance, and make an allowance for the amount of data which they might use without you otherwise realising. The same applies to Android devices, Windows based computers etc; virtually any connected device is capable of looking online for updates nowadays. One of the most intensive uses of internet bandwidth is video content. This uses far, far more than static pictures, or general emails or browsing normal websites. This might sound very basic, but think of video as moving pictures, that’s what they are. – They commonly have 24 or more frames of content, sometimes 60 frames per second. In general terms (ignoring the effect of compression and encoding etc), you can imagine that this has to pull down 24 or more static frames per second. It’s easy to see how video content is much, much more intensive with bandwidth than most other types of online content. Again, this is what your high speed internet connection is intended for, so we’re not suggesting that you stop watching video content; just be aware that the type of content which you read / view has a dramatic impact on the amount of bandwidth used. You’ll know the type which I’m talking about if you’ve ever followed a link from Facebook out to an external site. – They’re all looking to snag you into making that next click, to browsing off to another site and they often use rich types of media content to grab your attention. – Whether this is banner advertising, auto-playing video content etc. Adverts can make up 50% or more of the downloaded content on most of these types of webpages. So while the services you might be accessing and reading from, are not costing you directly to access them, they are costing you in terms of their use of your bandwidth. Some people employ the use of Ad-Blockers within their computer browsers to keep this type of content at bay. Other people try to avoid these types of website altogether. They tend to be ‘trashy’, hard to navigate, deliberately awkward and mis-leading in terms of where to click to access the real content etc. Genuinely valid, media rich websites are excellent. We’re not slamming them all, just the trashy, heavily advertising orientated ones. Your type of browsing will influence how much of your bandwidth is consumed by these often heavy, low value types of content. So, you’ve bought a new Chrome-cast device and plugged it into the back of your TV? Inherently, all that these types of devices do, is play video content. – Expect a jump on your bandwidth usage. They will often, automatically pull down the highest resolution version of the feed that your display device will support. – No questions asked. So if you plugged that device into the back of your nice new HD TV, then it’ll be downloading 1080p content, sometimes at 60fps. This page https://www.reddit.com/r/Twitch/comments/2t5ulf/the_1080p_60fps_hype_train_and_why_its_just_one/ outlines why this is a heavy bandwidth hog, and suggests that it uses ~3.5Mbps, that’s approximately 21MB per minute, ~1.2GB per hour. If you have only 10GB per month, then well, that’s gone in just over an 8 hour working day. Have you considered what happens at the end of the play-list which you’ve just asked it to work through on YouTube? Often they can automatically loop onto the next piece of ‘suggested’ content. If you unwittingly leave your Chromecast or other YouTube-playing-device playing (when you’re not actually watching it), it *could* use 10GB of bandwidth overnight. Have you considered what happens when you turn your TV off? – If you don’t have your HDMI (CEC) settings set up appropriately then it’s possible for you to turn off your TV, and your Chromecast device might not know, so if you haven’t deliberately stopped play-back, it could potentially continue playing while your TV is off, and you would never know. Tip: Check how your Chomecast device works in your environment by starting it playing, turn your TV off, leave it off for a minute, then turn it back on and see if the Chromecast device is still playing. Using your smart-TV itself is often safer, because when you turn that TV off, it’s not going to be downloading video content any more. Learn if your TV or Chromecast device has settings to limit the resolution of your feed, you might find that deliberately chasing a 480, or 720 feed is good enough, and it will save you significant bandwidth. Leaving video playlists playing by accident (You tube and similar). 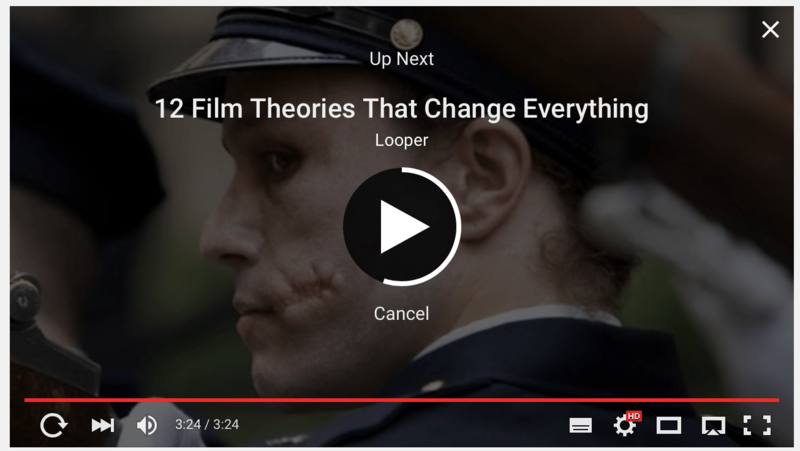 You can disable this by sliding that ‘Autoplay’ slider off. Facebook can be addictive, some of the shared content can be excellent, some can be pretty average. If you’re a Facebook user and if, when you scroll down your news-feed videos start to play automatically, without you first having to click the play-button, then you should be aware that your device is downloading a portion of each of those videos – ahead of time, in preparation for you potentially wanting to watch them. This can end up being costly, certainly more costly than it needs to be. You can turn this automatic setting off. If you have kids in your household, and if they have WIFI enabled devices, and if they take those devices to bed with them then you will have no, or little control over what happens to your bandwidth. Above we discussed what happens with YouTube playlists, when you get to the end of something, they recommend something else, insert the odd advert and keep on playing. This is how they get their advertising play-counts up, it’s one of the ways they make money; by displaying ads during playback and by keeping that playback going. If one of your kids falls asleep while playing videos on YouTube – guess what? – If their device is plugged into power, and video play back is active, then the power saving modes are unlikely to kick in, it’s going to play video content all night. Depending on the device’s screen resolution and their YouTube preferences, it could easily get through 5GB overnight. These types of content can end up being addictive to certain people and can often lead to late nights and tired eyes. – While I don’t personally have kids, I’ve been involved in helping to configure wireless access points (with hot-spot modes enabled) to allow parents to track bandwidth usage against individual accounts, and also to kick their kids off the wifi network every night at specified times. Ask around your family, if someone knows about Torrents, and if you don’t, then there’s a fair chance that they may be downloading content which you’re not aware of. – We’re not commenting on the types of content, or the legality of those downloads, just that downloading content from Torrents often in and of itself can be bandwidth hungry, but it also comes with an expectation that you will then also allow others to download from you too. This is a double edged sword, as the Torrent clients, unless they are well configured, can often lead to signifiant amounts of upload based data usage which counts within your monthly used bandwidth. It is not beyond the technical capabilities of the younger generation to use these, without supervising parents being in the dark about their use. Some general information on Torrents is available here: http://netforbeginners.about.com/od/peersharing/a/torrenthandbook.htm – As with all of these things, google is your friend, search for this and have a read about it if you need to know more. It goes without saying nowadays that there’s enough demands on your bandwidth without you allowing others to steal it. Viruses and Malware will often open up back-door access to your computer and allow others to use it for their own (often illegal) purposes. These uses can include further hack efforts performed on other internet users and distributed denial of service attacks to name just two. Spyware is a concern as it can allow others to view what you’re doing on your machine, capture keystrokes learn banking details, passwords etc. The answer to these problems is to obtain reputable, anti-virus and internet security software. Often this can mean having to pay for it, not all of the free ones are particularly good. Stratanet has been running ISP services, and accounting for bandwidth and data usage for quite a long time now, we use industry standard approaches to perform this. You have access to your bandwidth usage through our account management interface here: http://edge.stratanet.co.nz/ – This shows you how much of your current bandwidth allocation you have used within the current billing period. – This view is fairly coarse, it does not show detailed traffic usage patterns. We are always looking for ways to improve our service and we are currently looking to see if we can easily expand these views to show daily usage counts – to give you a better feel of when you may have experienced spikes in your normal usage patterns. There are tools available to monitor your own bandwidth usage *within your own network*, (again, you’ll have to read up on these, and decide which one you might want to use, then download and install these yourselves), a lot of which approach is best for your own environment will depend upon how you connect, there are many different ways which our customers connect, and a number of different types of devices in use within people’s homes. It’s impossible for us to recommend a one-stop-shop approach here for everyone. If you have worked through this document in detail and started to take a more direct interest in where your bandwidth is being used and if you have lasting concerns then you can contact our helpdesk to see what we might be reasonably able to do to help to provide you with some greater insight or visibility on your usage. – This is not a normal service which we offer, it is exceptional and we will deal with each enquiry on a request by request basis.